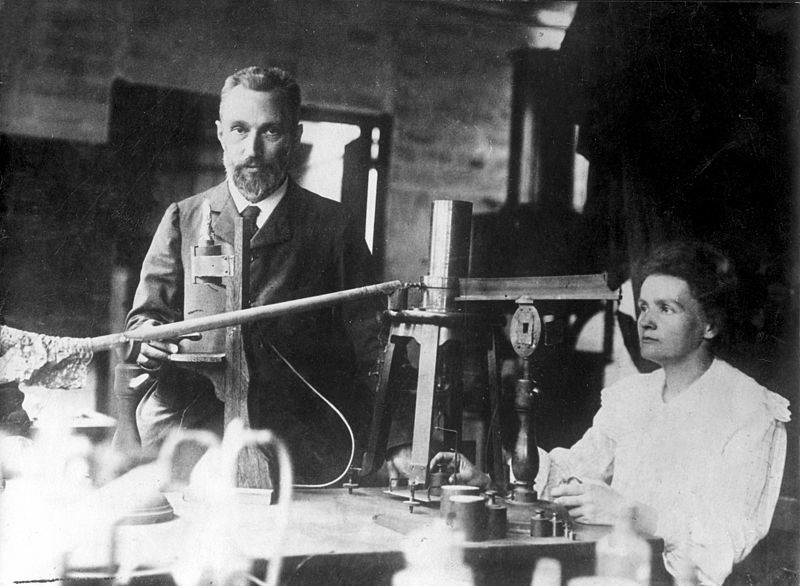 On 26 December 1898, Marie and Pierre Curie working in a converted shed, formerly a medical dissecting room, in the Municipal School of Industrial Physics and Chemistry in Paris, announced their discovery of the radioactive element Radium. In the process Marie Curie coined the word radioactivity. The origin of the name Radium comes from the Latin word radius meaning ray. At the World Physics Congress in Paris in 1900, one of the results presented by the Curies was that their new substance glowed; materials containing radium emitted light as well as radioactive rays. Between 1898 and 1902, the Curies published a total of 32 scientific papers, including one that announced that diseased, tumor-forming cells were destroyed faster than healthy cells when exposed to radium. The Curies published details of the processes they used to isolate radium, without patenting any of them, believing scientists should devote their lives to research for the benefit of humanity. 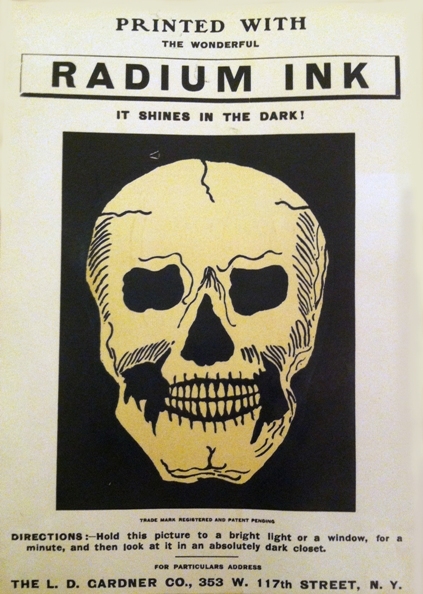 In any case, they had no reason to expect that radium would be a big money-maker. But in the meantime a new industry began developing based on radium. A 1904 advert for radium ink manufactured by L D Gardner in New York. You are instructed to hold the picture in a bright light for a minute and then look at it in an absolutely dark closet. But while the controlled use of radiation was curing some cancers, its uncontrolled use by healthy people was another matter entirely. The trouble was that even pioneers such as the Curies knew nothing of the hazards. Early radiographers tested their X-ray machines on their hands each morning.